Hello! 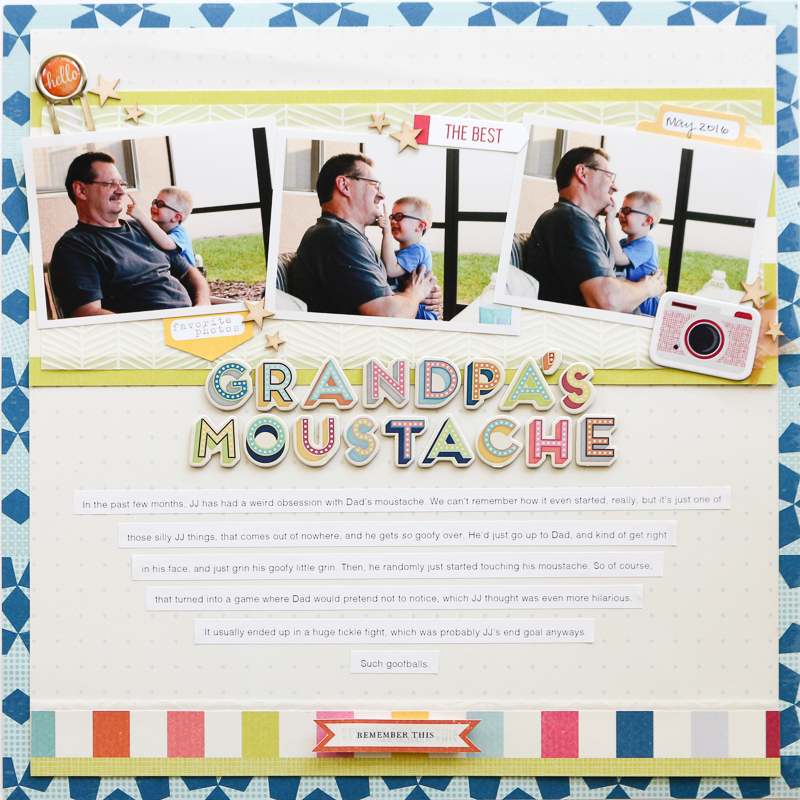 Today I'm sharing fun little layout I made about my son, and the weird fascination he has with my Dad's moustache. These two are always so silly together, and it was fun to capture some of that. 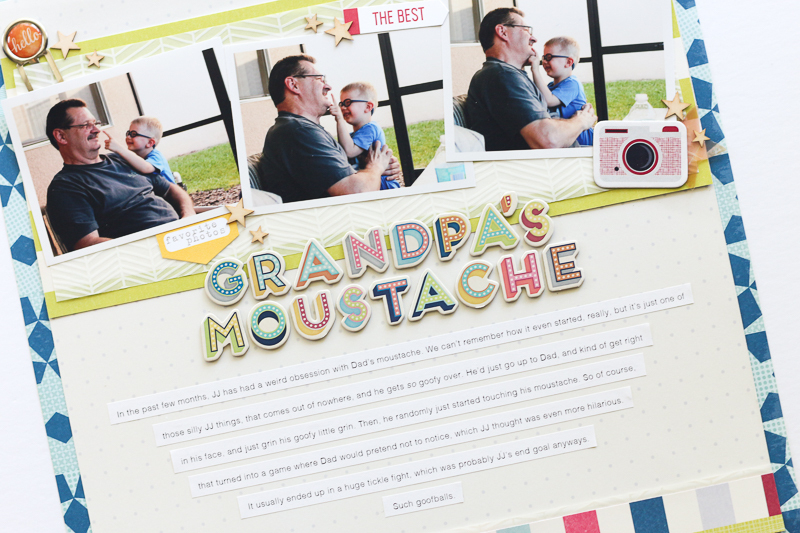 One day JJ just got really obsessed with my Dad's moustache, and would just randomly come up to him and try to touch it... which then always turned into a game/tickle fight. This lasted a few months. It's died down recently, so I'm glad I documented it before I forgot about this funny little exchange they regularly would have. 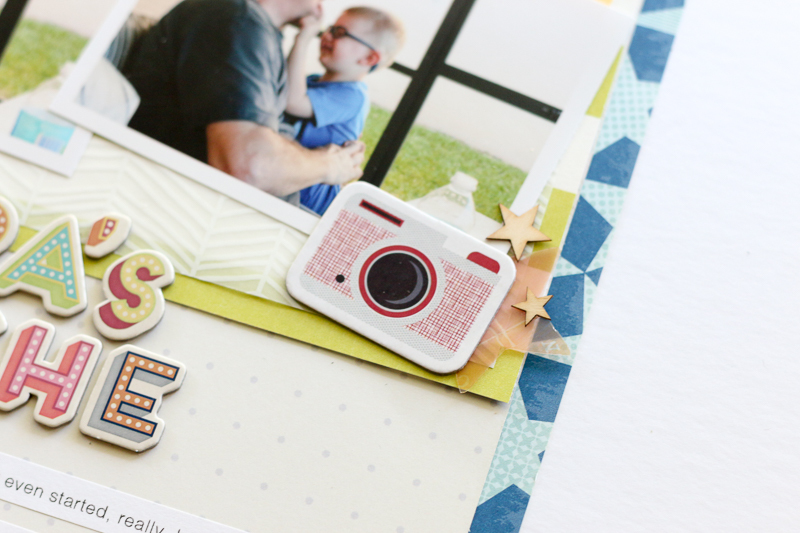 I used a lot of Shimelle's Starshine collection here (love that alpha set! ), as well as some items from the Elle's Studio Sunny Days Bits & Pieces. They go so well together and are perfect for stories about the boys. I've made my own little 'kit' with a bunch of coordinating items from those lines, and a few other bits and pieces. 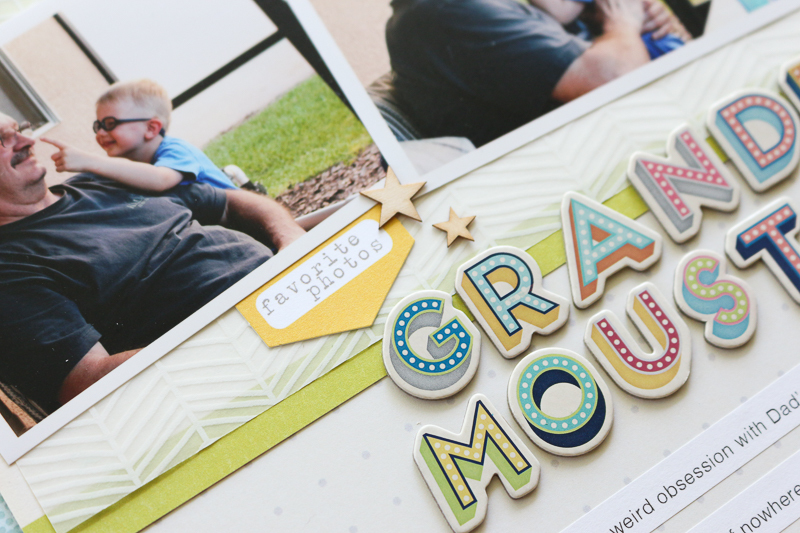 I love those little wood veneer stars! They were from one of my Citrus Twist kits, I believe. A fun page, for a fun story. Thanks so much for stopping by!